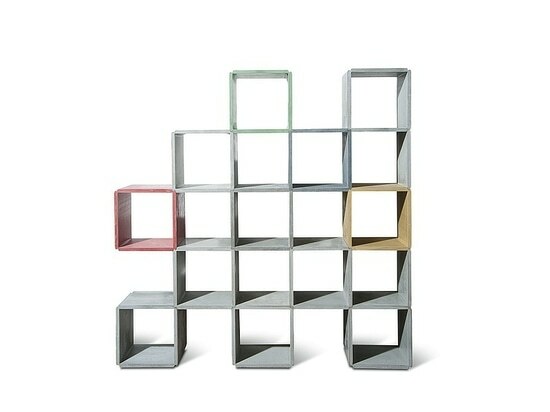 This stacking shelf made of concrete is designed to be self-supporting. The ingenious corner-edge construction has both aesthetic and practical advantages. The open spaces between the cubes give the shelf an air of lightness. The built-in connecting element is invisible. Due to their weight, touching elements combine exactly and provide the structure with sturdy support. Optional additional elements of wood or glass can be added to the shelf which is suitable for use both in- and outdoors as a wall shelf, privacy screen or room divider. 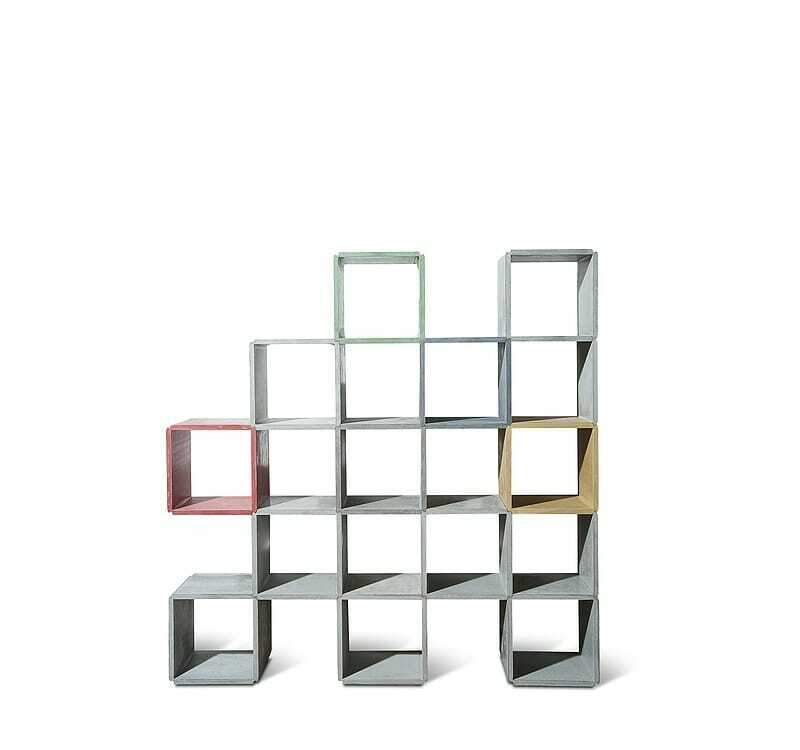 The well-thought-out design of this stacking shelf succeeds due to an innovative use of concrete as a construction material and because of its versatility.